France went through many major political upheavals from 1790 onwards. 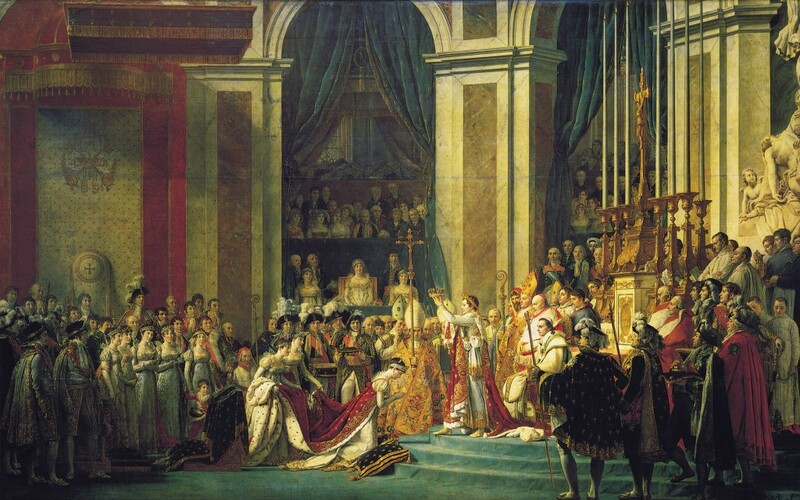 The decadence of the monarchy coupled with a large amount of the population living in poverty resulted in one of the greatest revolutions Europe has ever seen. France entered the nineteenth century amidst struggles for power, bloody reigns of tyrannical leaders, and an underlying sense of dissatisfaction at the new governing bodies that took turns replacing the old regime. After many uprisings and the loss of many more lives, France finally brought itself to stability under the rule of Louis Napoleon, in the form of the Second French Empire. The initial revolution in France united the people against a common enemy, King Louis. After his disposal, there were many factions fighting for power. The revolution did not turn out the way many participants had expected. The constant fights for control set the stage for the rebellions that defined France in the mid-nineteenth century. After the end of the Jacobean Terror, Napoleon rose in power for a short period of time, followed by a reinstated monarchy. It was against this new monarchy that the people banded together again during the July Revolution and the June Rebellion. The final Revolution of 1848 and the coup led by Louis Napoleon led to the end of the uprisings in France and a stabilized central government. The sources here cover all these major events in French history, through the first hand accounts of people alive during this time and the research done by historians. All sources give a comprehensive view of the trials France endured from its first revolution onwards. 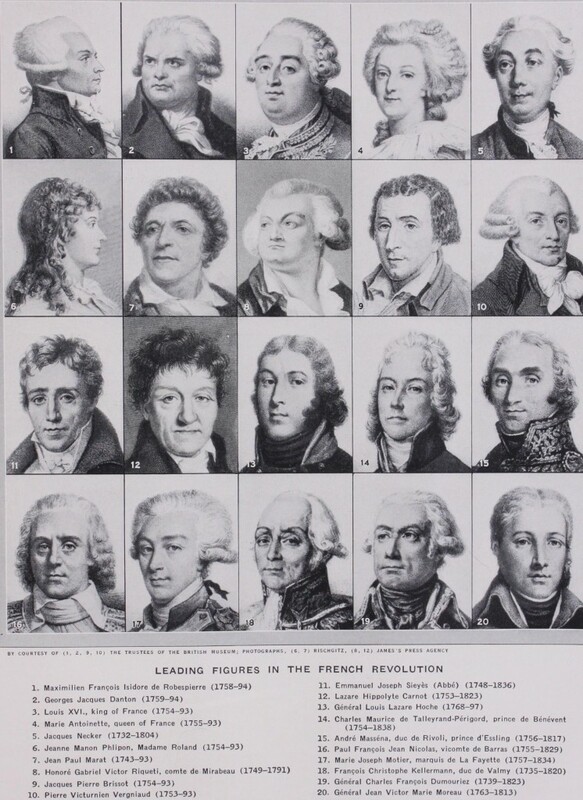 This article, written during the original French Revolution, shows us the variety of different roles that people were expected to fill to make the revolution a success. For example, the men were expected to become soldiers, the women responsible for maintaining the tents and soldier’s clothing and food, and the national buildings were to be turned into barracks. The expectations for a successful revolt were strict, and nobody was expected to leave their post. This source gives an excellent look into the way lives were changed by the revolution, and how it was organized by the leaders. Robespierre, Maximilien. “‘Louis Must Perish because Our Country Must Live!'”. Hazeltine, Mayo, ed. Famous Orations. New York: Collier & Son, 1903, p. 117. After Louis was overthrown, the people of France no longer had a common cause to rally behind. The confusion and uncertainty that followed resulted in struggles for power between competing factions. In this essay, the leader of the Jacobeans, Maximilien Robespierre, argues his ideas for progress to the people. He talks about how the king must be killed, as his crimes against the people of France were unpardonable. This article gives us a look into the ideas of the man who would later cause the Terror that killed thousands of French citizens. This also gives us a way to see the rationale behind the Jacobean Terror through the words of its leader. Hugo, Victor. “Against Capital Punishment.” Bryan, William Jennings, ed. The World’s Famous Orations. Vol. 7. New York: Funk & Wagnall, 1906, p. 193. In this article, we get a look into the opinions of an ordinary, albeit well-known, citizen in the aftermath of the Revolution of 1848. After years of bloodshed from the Terror, Napoleon’s wars, and the rebellions of 1830 and 1832, it is understandable that people would be against something such as capital punishment. Here, Victor Hugo gives us his opinion on the matter. He denounces the ‘blood for blood’ that is the death penalty, implying that it is unnecessary and immoral, similar to the deaths of those rebelling. This article is valuable in providing the reader with the opinions people would have held after 50 years of bloodshed and instability, and why they would have felt this way. St. John, Percy B. 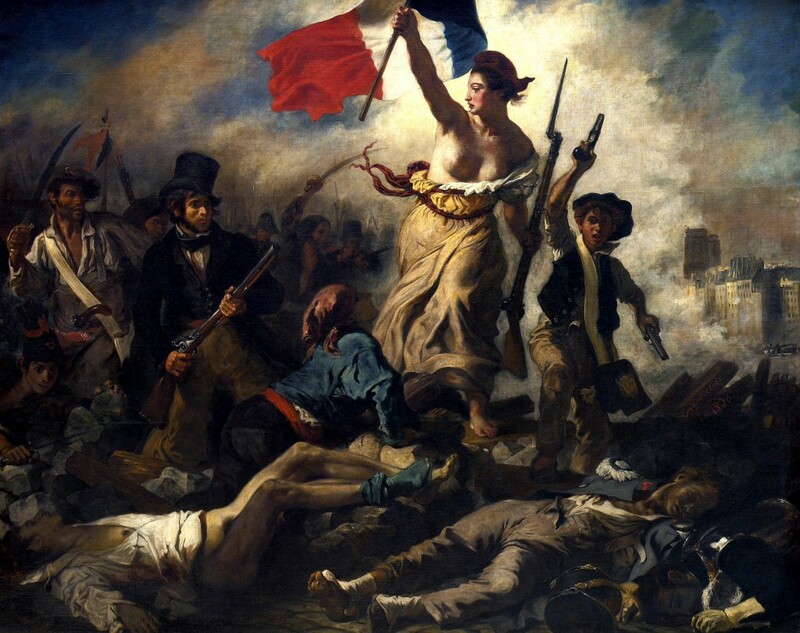 “The French Revolution of 1848: The Three Days of February, 1848”. New York, 1848. Here, a man living in Paris at the time of the Revolution of 1848 gives us a detailed account of two days during the uprising. He describes everything from the weather of that day to the times of major events throughout the rebellion. While many other primary sources are often the opinion of the writer, this source is purely description. The author writes what his experiences in the great crowds of the revolution without throwing in personal opinion. Doyle, William. “The Oxford History of the French Revolution”. USA: Oxford University Press, 1990. This book is excellent for an overall look at the original French revolution. The author starts with the major people involved, and leads into the policies and actions that led to the discontent of the people. It does not only dwell on the political sides of things, however. Doyle takes a look at how societal norms of the time and religion played a role in sparking the overthrow of the monarchy. He also touches on the aftermath of the revolution, the fights between the leaders of it, and finishes with the introduction of Napoleon as a major figure in the government. This will give the reader a general background of the entire Revolution while detailing some major aspects of it. This documentary covers the rise of Napoleon and his empire. It describes in detail every aspect of Napoleon’s life, from his childhood in Corsica to the final days of his reign over France. It looks at his policies while he was emperor, with a focus on the wars he waged against Italy, Austria and Russia. It ends with a look at Napoleon’s life in exile, and the legacy he left behind that still effects Europe today. Pilbeam, Pamela. “The ‘Three Glorious Days’: The Revolution of 1830 in Provincial France”. Cambridge: Cambridge University Press, 1983. 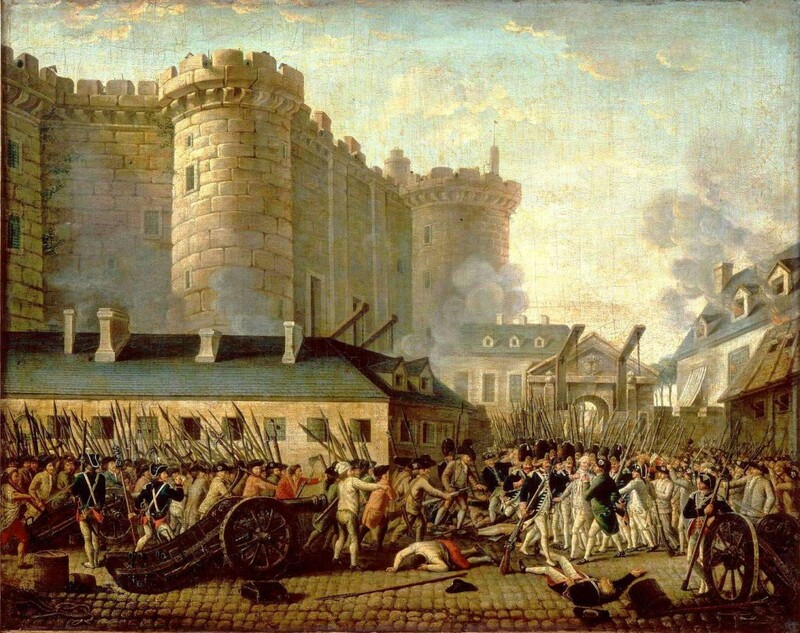 The author of this article takes a look at the governments of France after the initial revolution and questions how they led to the other rebellions in Paris in the nineteenth century. While the article does not go into detail about the July Revolution, it gives the reader much information on the bigger picture. She explains the way that leaders after the revolution centralized power and the effect this had on the people in both the provinces and the cities. The article concludes with a section on the local impacts throughout the country that were a result of the July Revolution, making it a great source for a more in-depth look into the July revolution’s causes and effects. Eugène Delacroix- La Liberté Guidant Le Peuple. The famous painting of the Revolution of 1830 being led by Lady Liberty. Harsin, Jill. 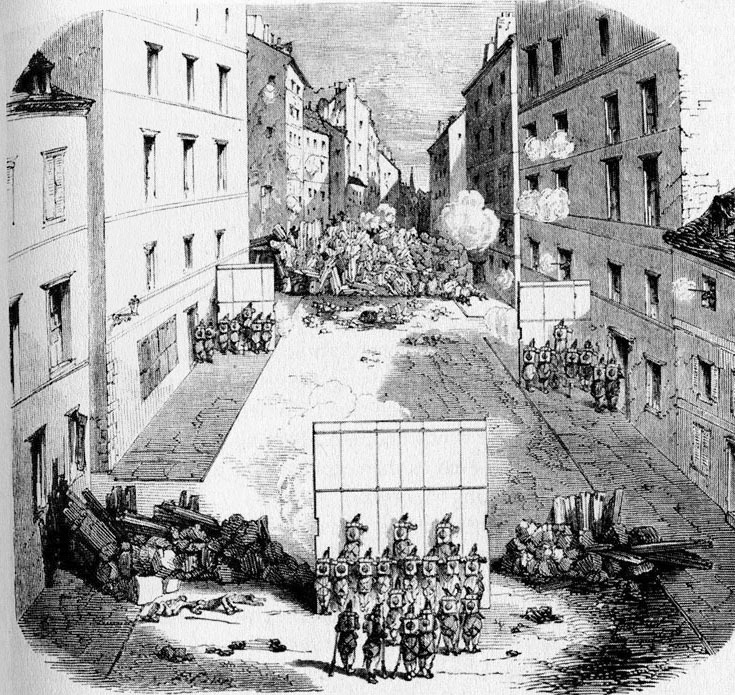 “Barricades: The War of the Streets in Revolutionary Paris, 1830-1848”. USA: Palgrave Macmillan, 2002. Barricades focuses on not the political happenings of the time, but the people behind the uprisings and those pushing for change. The author uses primary sources such as court records, articles and newspapers to bring together a narrative on how the working class and the bourgeoisie came together to achieve common goals. It gives both an overview of the situations leading to the formation of barricades and a look at some of the details of the turbulence of this rebellion. Traugott, Mark. “The Insurgent Barricade”. California: University of California Press, 2010. This source is incredibly valuable for information regarding the barricades that became a hallmark of French rebellion. Traugott looks into the history of the barricade and the other forms of protest and how they have evolved over time. He then brings this history to France in the post-revolutionary period. He looks at the major groups that contributed to the barricaded revolutions, such as students and poor workers. He goes beyond the literal meaning of the barricades and into the symbol of strength and change they became for the people participating in the anti-government movements. An unknown artist’s rendition of the June Rebellion. Hugo, Victor. “Les Misèrables”. New York: Random House, 1992. While this novel is a work of fiction, the setting is very real. 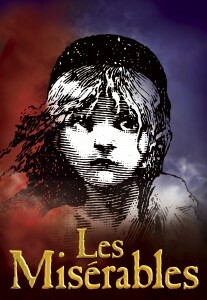 The author himself experienced the June Rebellion and participated in the action at the barricades. While the rebellion itself is only a short section in an otherwise large book, Hugo manages to give the reader a great idea of what was happening and who the major players in this uprising were. If the reader is able to shift through the romanticized details of this fight, this book can be a good resource for a general background on the June rebellion. The book that made the June Rebellion famous. de Lamartine, Alphonse. “Full Text of ‘History of the French Revolution of 1848’.” http://archive.org/stream/historyoffrenchr00lama/historyoffrenchr00lama_djvu.txt. Alphonse de Lamartine, the author of this book, was very involved in French politics in the mid-nineteenth century. He was a high-ranking official in the provisional government and a presidential candidate in later years. Here, he explains many of the political events in France at the time of the Revolution of 1848. He takes us from the initial demands for liberal government reform to the social changes of the Industrial revolution that helped bring about the desire for the reforms. He mainly focuses on the organization of the working class that was the driving force behind the revolution, and adds in his opinion on major events here and there. For a look at the background of this revolution, this book gives a decent explanation. What makes this book stand out from others is the look at the working class’ contribution to the reforms, which can be overlooked in other sources. Foster, George G. and Dunn English, Thomas. “The French Revolution of 1848; its Causes, Actors, Events and Influences”. Britain: British Library Historical Print Editions, 2011. This book gives us a general look at the major objects of the revolution. It gives descriptions on the leaders of the groups demanding change, as well as the major events throughout the days of revolt and major influences of the time. It also provides illustrations from newspapers and posters to provide the reader with a look at how society viewed the revolution. While not incredibly detailed, it is a great source for understanding major parts of this particular rebellion.